Alarm Cat Press, 9780998878119, 188pp. 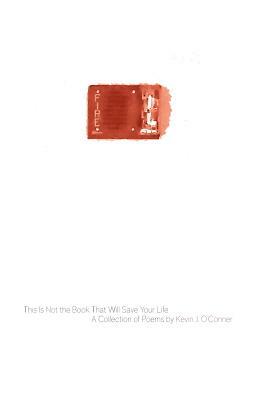 This Is Not the Book That Will Save Your Life is the ninth collection of poetry by Kevin J. O'Conner. Blitzed explores the world of the blitz poem, a 50-line form that uses repetition and prohibits punctuation, resulting in stream-of-consciousness, almost slam-like pieces that often move in unpredictable directions. Ekphrasis A Gogo delves into ekphrastic poems--poems written about, or in response to, art. Ekphrastic poems may be framed by the works of art that inspire them, but reflect the imagination of the poet. Musings collects those small moments and introspective episodes that occur in everyday life. Slices of Pi (and other short stuff) focuses on shorter poems, with an emphasis on the Pi-Archimedes form, which consists of six lines with word counts based on the first six digits of Pi. Many of these poems have a haiku-like quality--often contemplative, occasionally whimsical. Throughout the book's 120-plus poems, O'Conner continues his exploration of unadorned language and honest expression, with the occasional pop-culture reference thrown in for good measure. This book may not save your life, but you will most certainly relate to something within its pages.